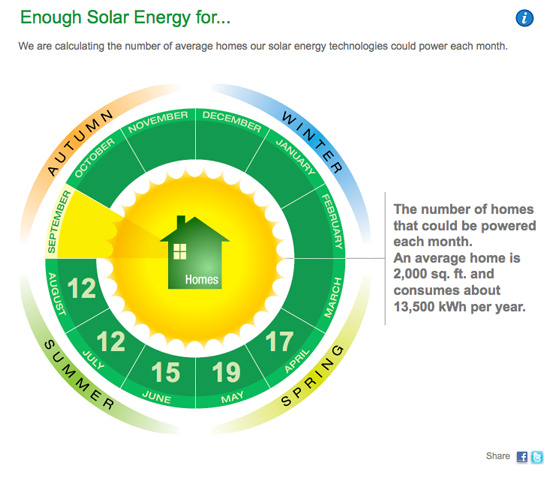 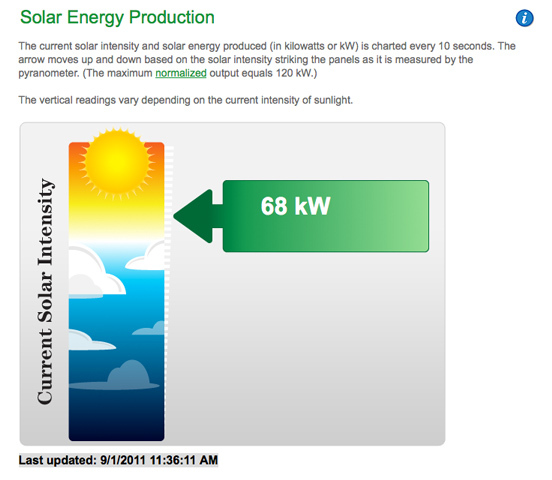 Rose Design and Oakwood Systems Group designed and built interactive graphics for the Ameren website that illustrate the amount of energy produced by the multiple solar units built onto Ameren’s Corporate headquarters. 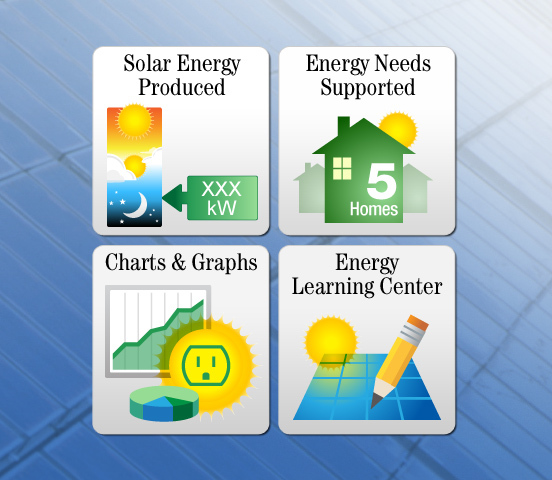 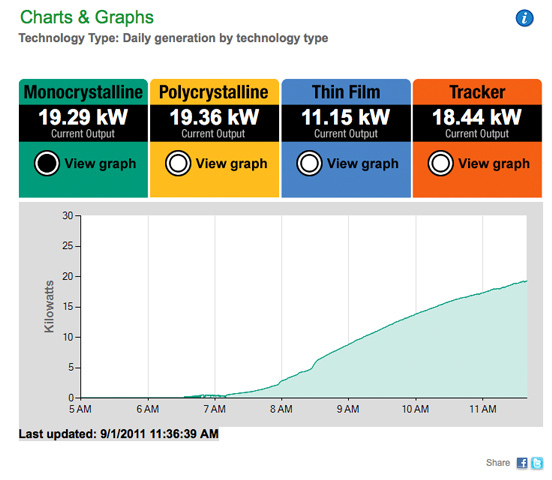 The amount of energy produced is graphically interpreted into various laymen’s terms to educate the public on solar energy viability. 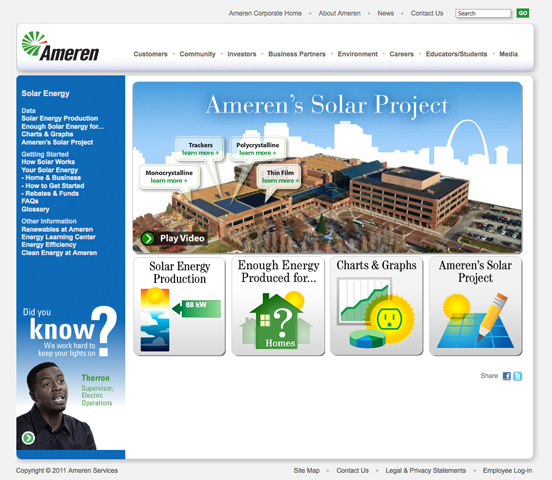 Ameren is a St. Louis based corporation serving 2.4 million electrical, and 900,000 natural gas customers across eastern Missouri and west-central Illinois.